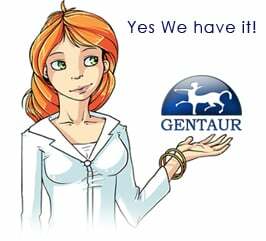 Gentaur antibody-antibodies.com The Marketplace for Antibodies : PD-L2 is a second ligand for PD-1 and inhibits T cell activation. Programmed death I (PD-I)-deficient mice develop a variety of autoimmune-like diseases, which suggests that this immunoinhibitory receptor plays an important role in tolerance. We identify here PD-1 ligand 2 (PD-L2) as a second ligand for PD-1 and compare the function and expression of PD-L1 and PD-L2. Engagement of PD-1 by PD-L2 dramatically inhibits T cell receptor (TCR)-mediated proliferation and cytokine production by CD4+ T cells. At low antigen concentrations, PD-L2-PD-1 interactions inhibit strong B7-CD28 signals. In contrast, at high antigen concentrations, PD-L2-PD-1 interactions reduce cytokine production but do not inhibit T cell proliferation. PD-L-PD-1 interactions lead to cell cycle arrest in G0/G1 but do not increase cell death. In addition, ligation of PD-1 + TCR leads to rapid phosphorylation of SHP-2, as compared to TCR ligation alone. PD-L expression was up-regulated on antigen-presenting cells by interferon gamma treatment and was also present on some normal tissues and tumor cell lines. Taken together, these studies show overlapping functions of PD-L1 and PD-L2 and indicate a key role for the PD-L-PD-1 pathway in regulatingT cell responses. Roles of programmed death-1 (PD-1)/PD-1 ligands pathway in the development of murine acute myocarditis caused by coxsackievirus B3.